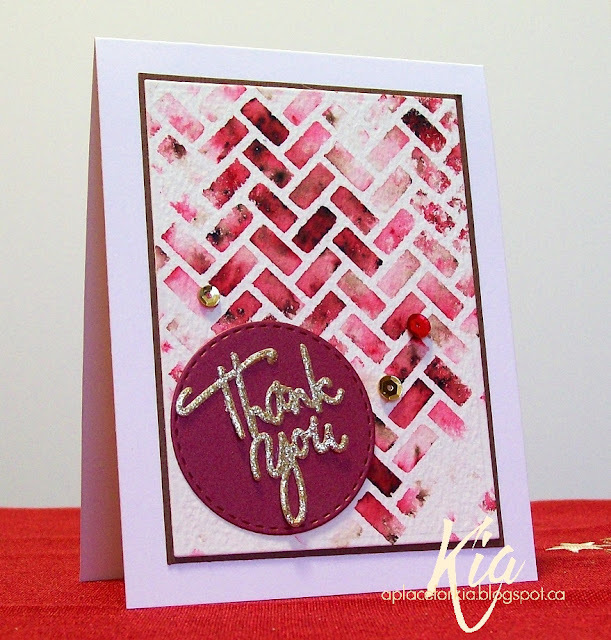 This was a quick card to make this morning. I am still in need of thank you cards from Christmas. 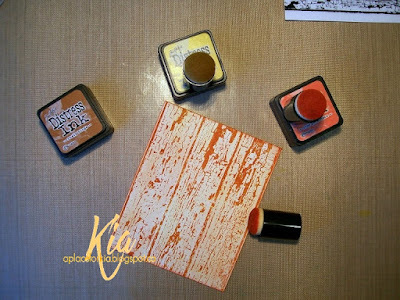 I sponged on my inks, starting with the lighter colour, then added the darker colour to the bottom. 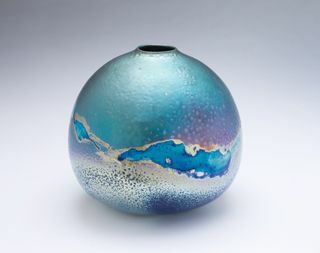 The mid tone was achieved by adding layers of the lighter colour until I liked the look. 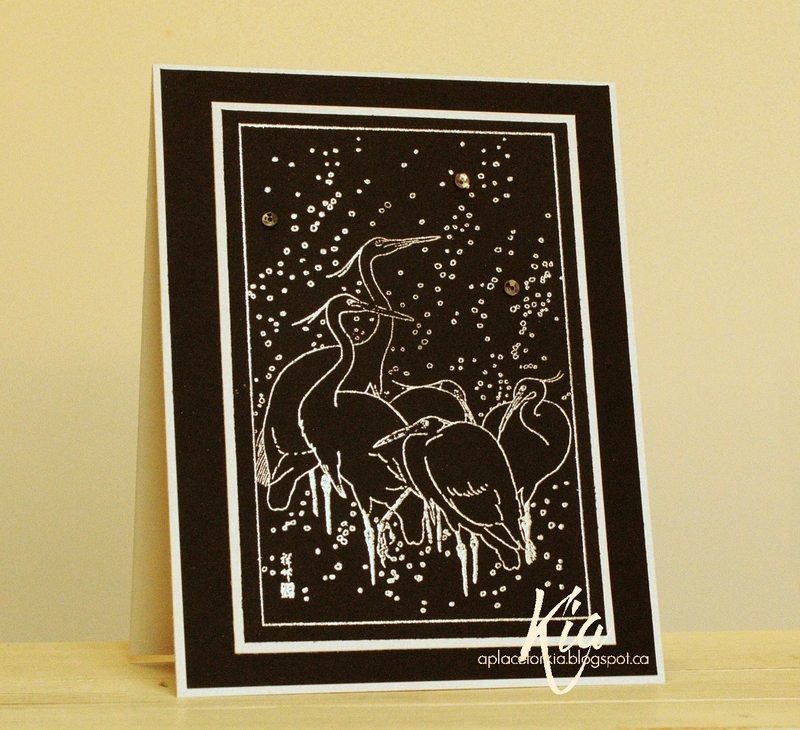 I then placed my panel in my Misti, and stamped my sentiment doing so a few times to get the rich black. I attached the panel with foam strips and finished with a few sequins. Thanks for having a look today ...and Happy New Year to all. Products: ARTplorations Broken Glass Stencil, Simon Says Stamp Flower Friend, Tim Holtz Distress Inks Pine needles, Evergreen Bough, Simon Says Stamp Intense Black Ink, Sequins, Foam Strips, Neenah Cardstock. I think we all have thank you cards to get done at this time of year. I have started a few and have another to share with you today. This was rather quick for me as I had the background already done from awhile back, so all I did was die cut the panel and mat with the dark brown. 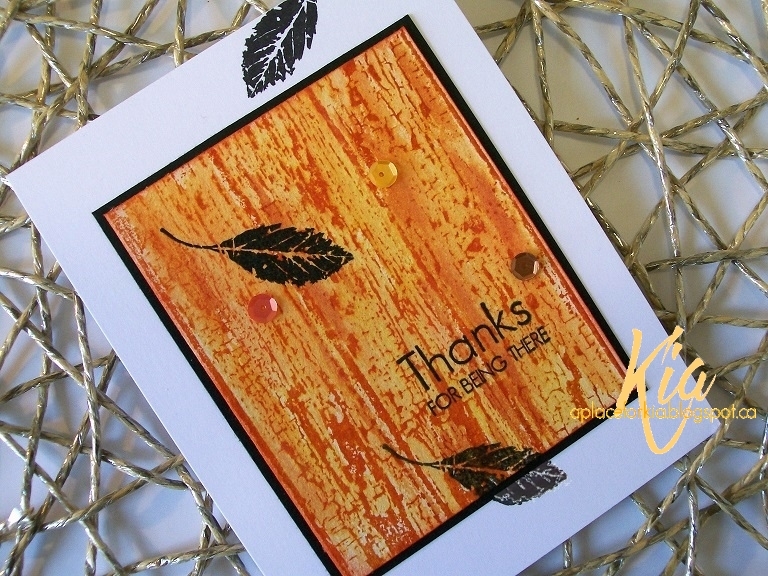 I added the circle done in metallic red and the gold glitter thank you sentiment along with a few sequins and done. 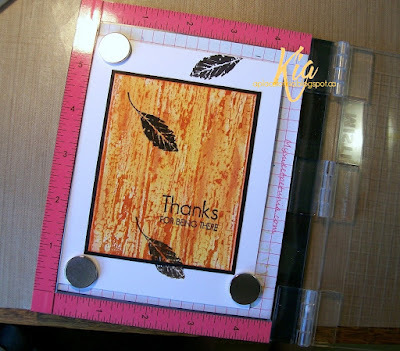 Having backgrounds in your stash is a great way to make easy cards when life gets so busy. 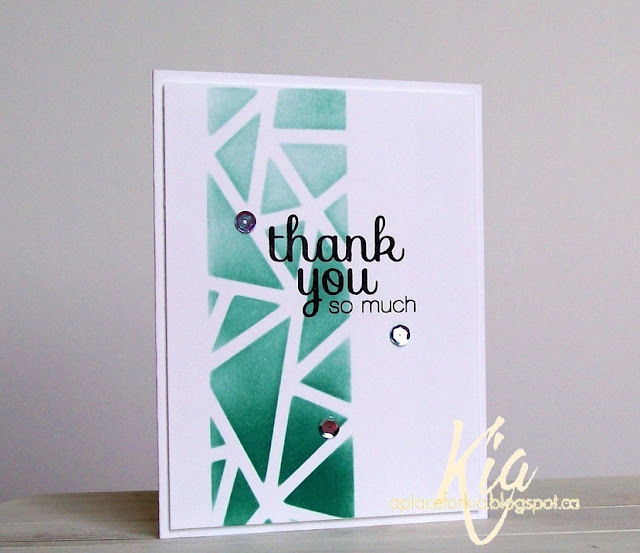 Products: Artplorations Stencil Weaving, Simon Says Stamp Stitched Circle, Cuttlebug With Gratitude Sentiment, Neenah Cardstock, Arches Watercolour Paper, Bisters, Sequins. Another clean and simple card to share. 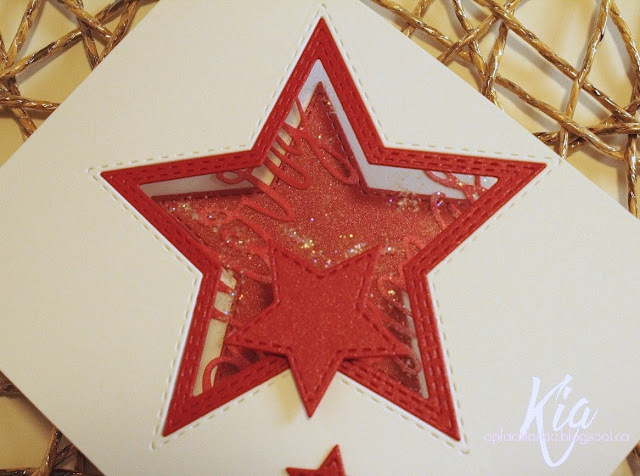 I embossed the background panel in snowflakes, die cut the snowflake using gold glitter paper and die cut the sentiment using metallic red cardstock, and done. I very much like the clean and simple look, and I love red and gold together ...I decorate for Christmas with red, greens and golds. 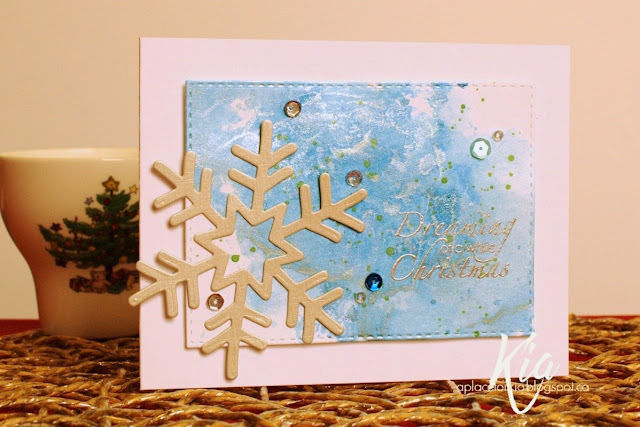 Products: Sizzix Christmas Set, Impression Obsession Small Snowflake Set, Crafty Cutts Dies Noel, Neenah Cardstock, Glitter Cardstock, Metallic Cardstock. HoHoHo Merry Christmas! I was smiling the whole time I was making this card, who wouldn't smile at the thought of Santa. 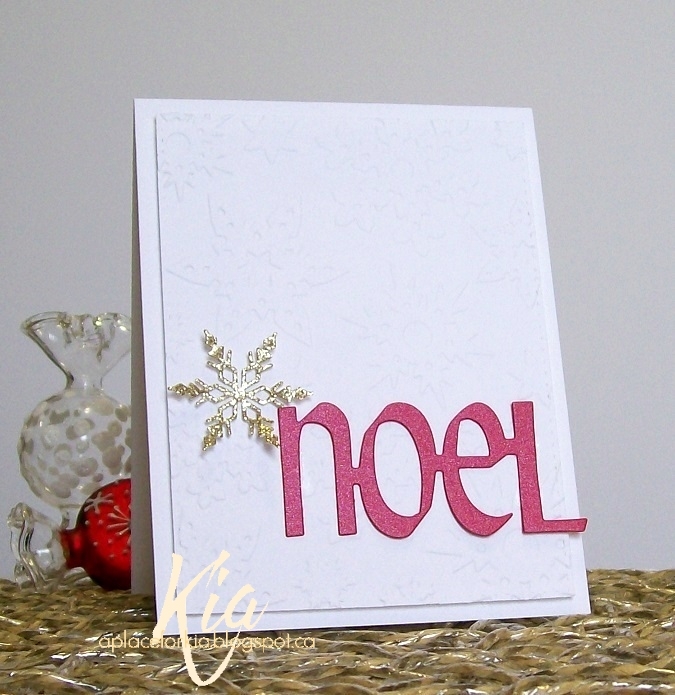 For this card, I embossed the background with snow dots and die cut the HoHoHo sentiment, then cut them apart as they are attached. 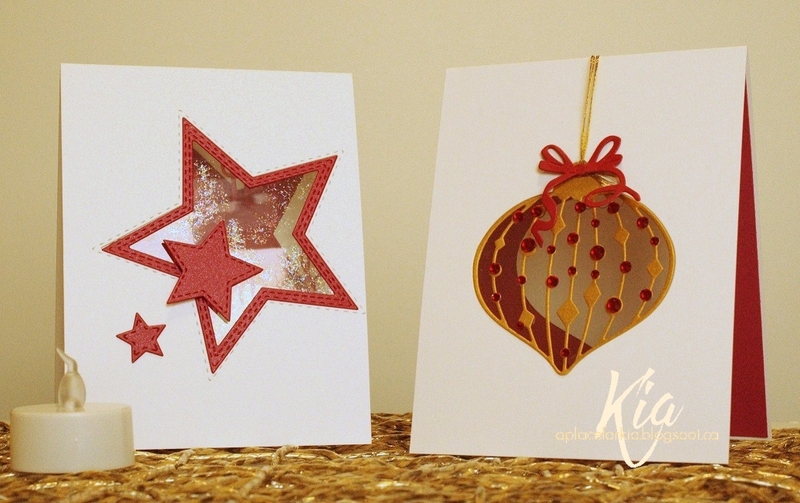 I attached them to some gold ribbon that I cut in half and added a sequin star to each. 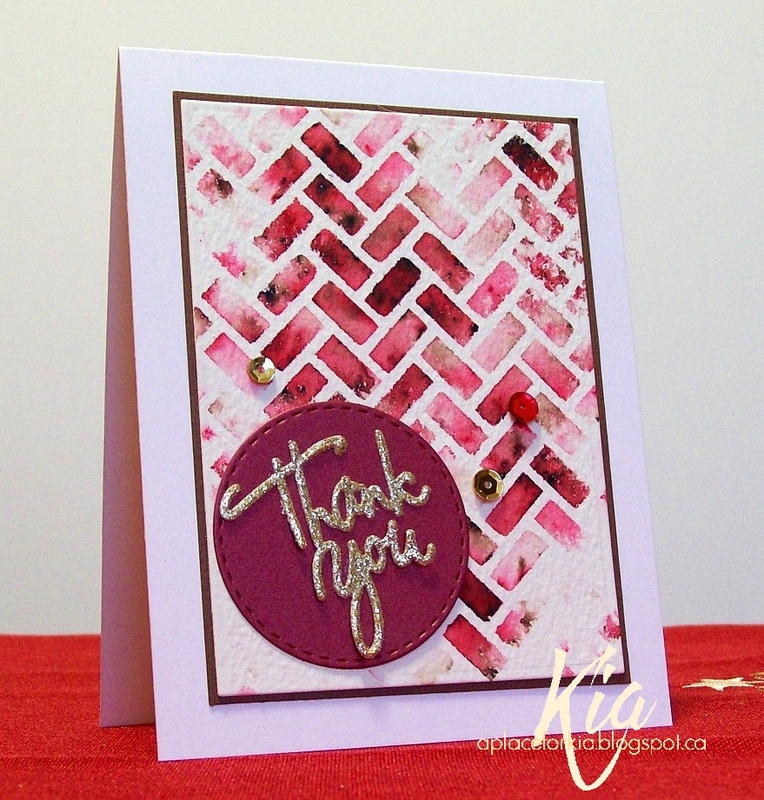 I then stamped the sentiment and attached the panel on fun foam to the card base. A quick and fun card to make. Thanks for having a look today. Products: Frantic Stamper Ornament HoHoHo, Impression Obsession Christmas Sentiments, Sizzix Snow Dots Embossing Folder, Gold Glitter Ribbon, Neenah Cardstock, Bazzill Cardstock, Fun Foam, Star Sequins, Simon Says Stamp Intense Black Ink. 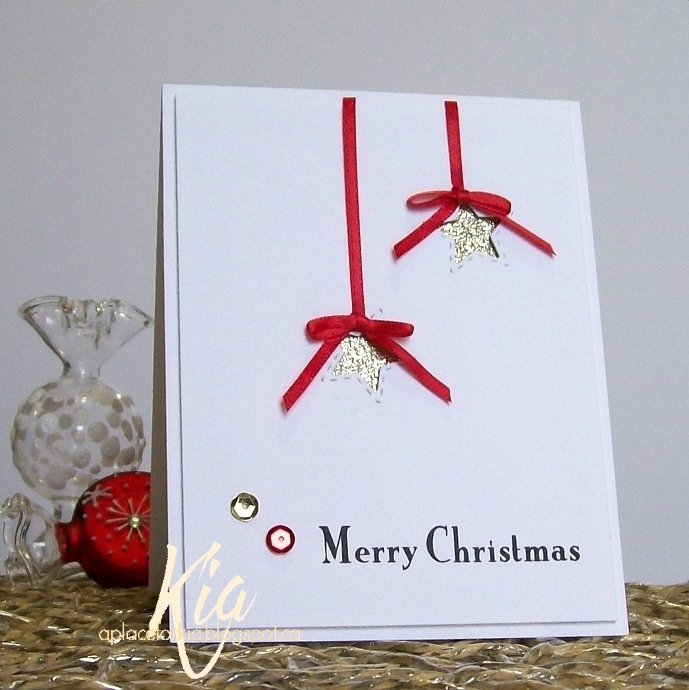 A CAS (clean and simple) Christmas card that can be made quickly for those last minute cards you may have missed. I have gold glitter paper under the negative stars. I added the ribbon and made the tiny bow with a kitchen fork. 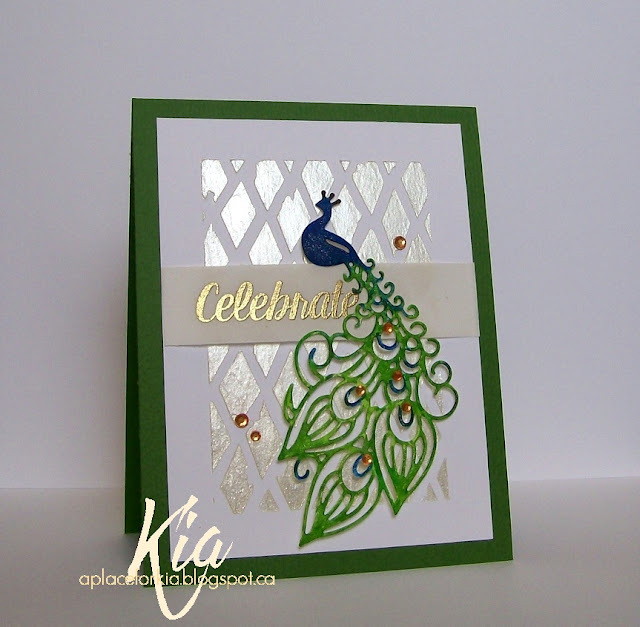 A sentiment and a couple of sequins finished this card. Thanks for visiting today. 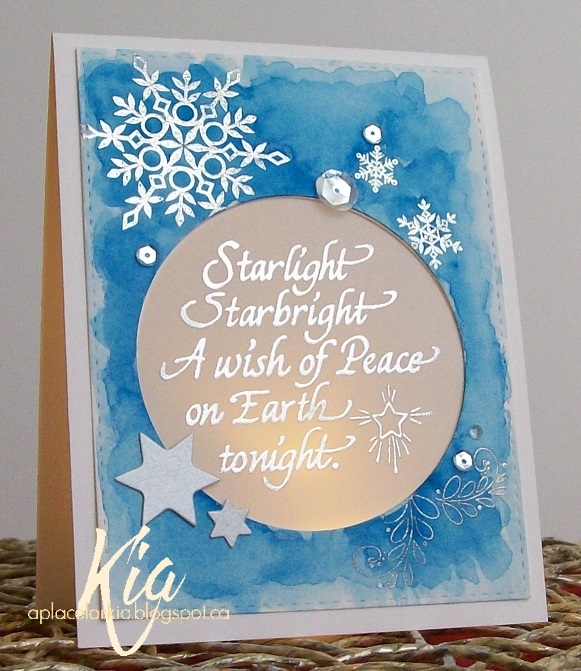 Products: Frantic Stamper Nested Stitched Stars, Impression Obsession Christmas Sentiments, Red Ribbon, Gold Glitter Paper, Neenah Cardstock, Sequins, Simon Says Stamp Intense Black Ink. I let the designer paper decorate the tree for this Christmas card. 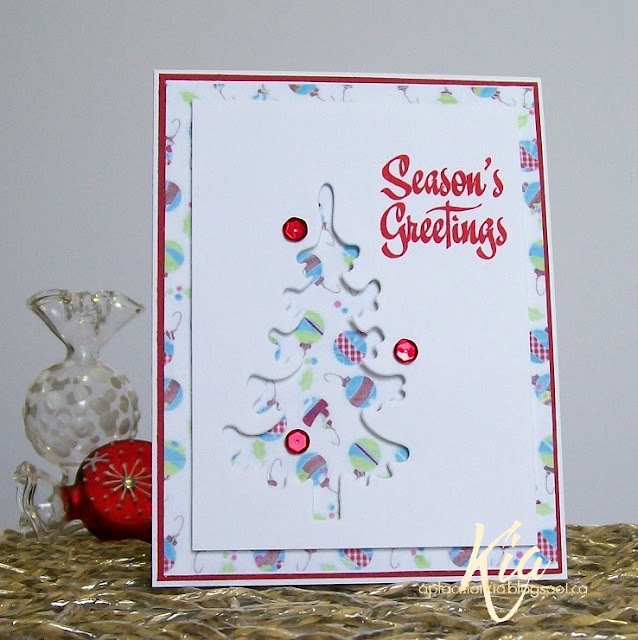 It is a quick card to do as it is basically the papers and the negative from the Christmas tree die and a Christmas sentiment. I could have tied some bakers twine at the trunk, but I like the cleaner look. 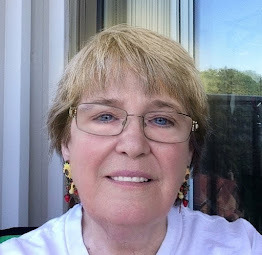 Thanks for visiting my blog today, have a great day. 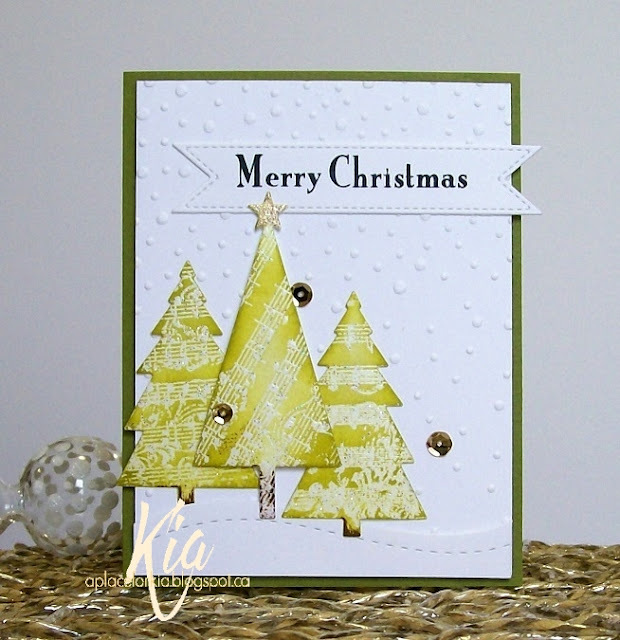 Products: Marianne Designs Christmas Tree, Impression Obsession Christmas Sentiments, Neenah Cardstock, Paper Garden Cardstock, Nitwit Collection Merry Christmas Design Paper, Sequins, Tim Holtz Distress Inks Candy Apple, Sequins. A trio of trees to share with you today. I first die cut the trees and sponged them, then changed my mind about the design of the card, as I did not like the look on a white card base. 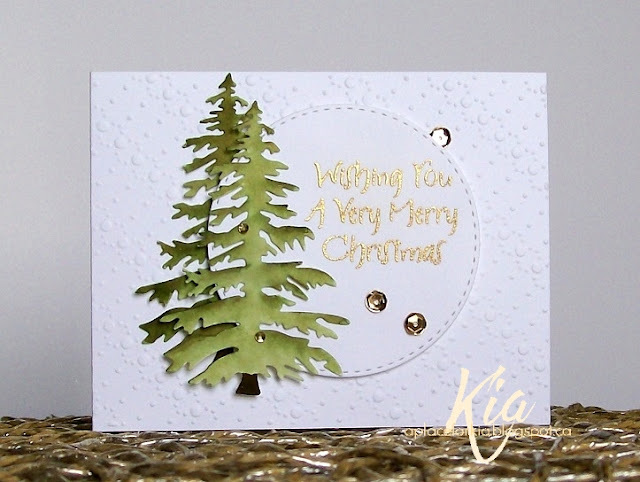 This design needed to have an olive base to look good with the colour of the trees. 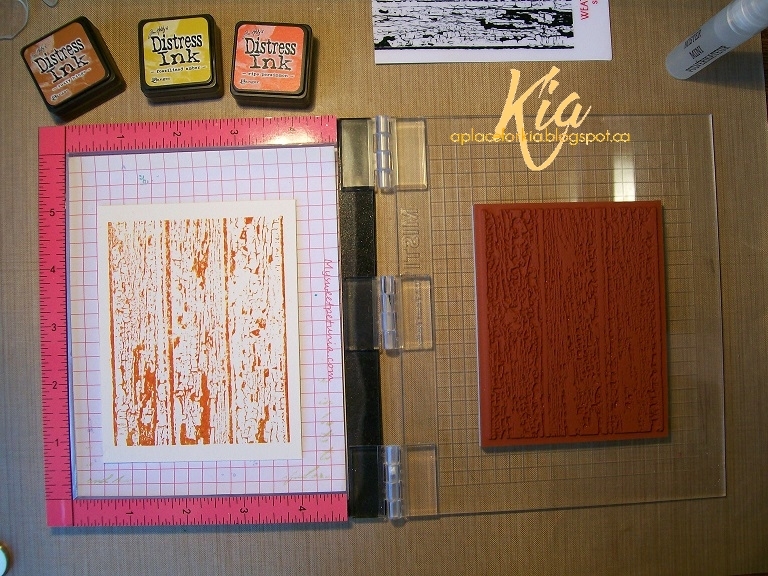 I embossed the panel with the snow dots folder, then die cut the snow bank before attaching the trees that I had heat embossed with the musical stamp in white before sponging on the greens. The middle tree is attached with dimensionals. I applied Wink of Stella Gold to the Star of the tree top, and die cut the stitched label then placed in my Misti to align the sentiment in the correct place before stamping. A few gold sequins finished my tree scene. 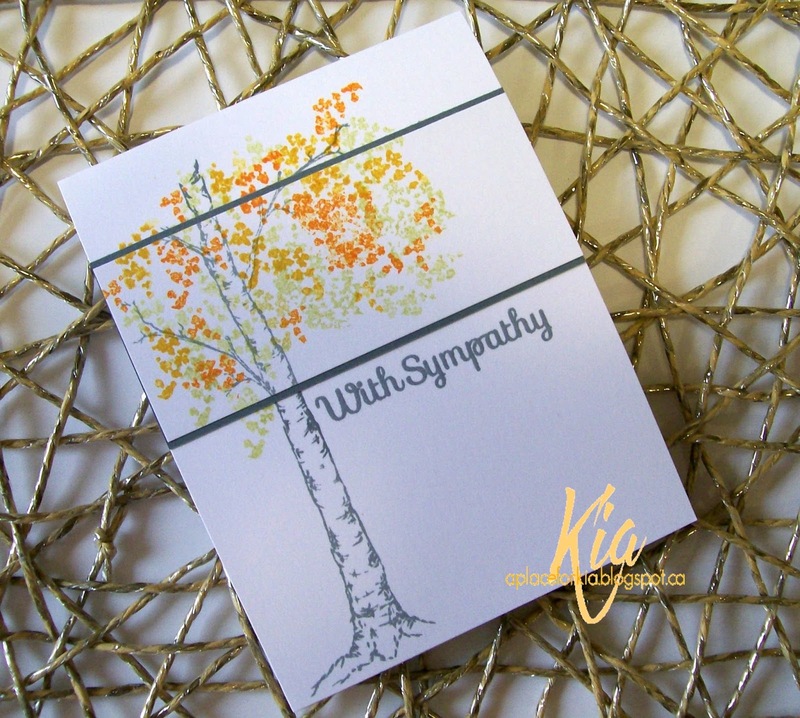 I hope you enjoy this card today and thank you for visiting. Products: Impression Obsession Christmas Tree and Tree Die Set, Frantic Stamper Stitched Fishtail Labels, Sizzix Snow Dots Embossing Folder, Simon Says Stamp Stitched Slopes and Hills, Deep Red Musical Flourish Background Stamp, Tim Holtz Distress Inks Crushed Olive, Impression Obsession Christmas Sentiments, Neenah Cardstock, Bazzill Cardstock, Sequins, White Embossing Powder, Dimensionals. I have made a few of these tea light cards for friends, and now that I have delivered them I can share these with you. They are easy to make using a die cut whose negative works just as nicely as the positive. 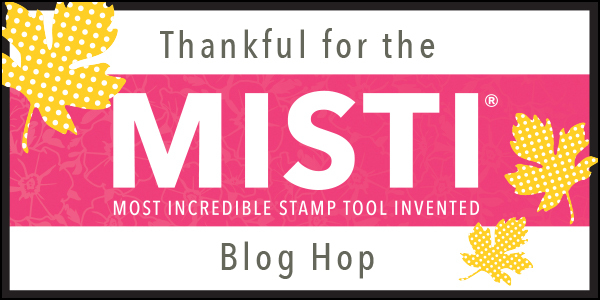 For these cards I used Frantic Stamper dies. I die cut then attached acetate to the back of the tent style card. For the star on the left, I applied stickles to the acetate around the open part of the star and left over night to dry. I used the next die down to make the trim of the star, cut in metallic papers, and cut a couple more in smaller sizes, the one on the acetate is on foam dimensionals. After I took the picture I did stamp a sentiment in the bottom right corner. For the ornament, I applied gems to the ornament, and a bow and gold thread. On the inside of both cards I kept it very simple, using a Merry Christmas die that is open in order not to distract from the open window of the card. I put battery operated tea lights in both, and this is what they look like with the lights out. They are fun to make and very pretty. 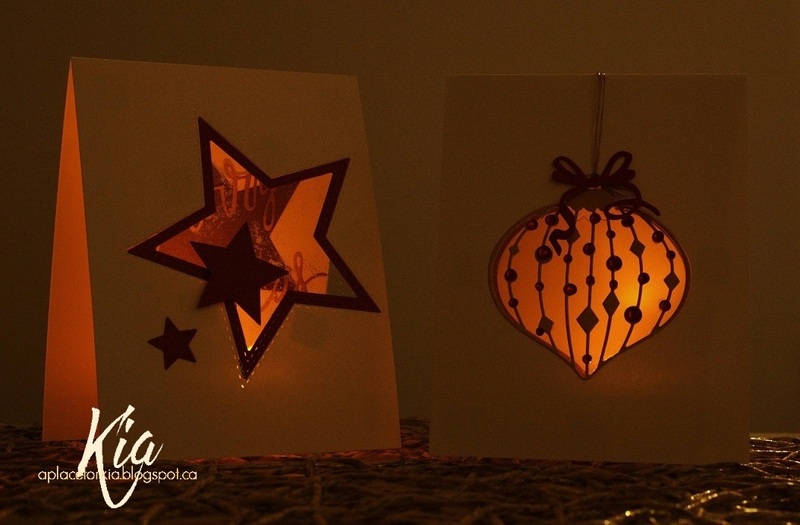 I made others with large dies that will allow light to come through, so I hope you will make give these a try. 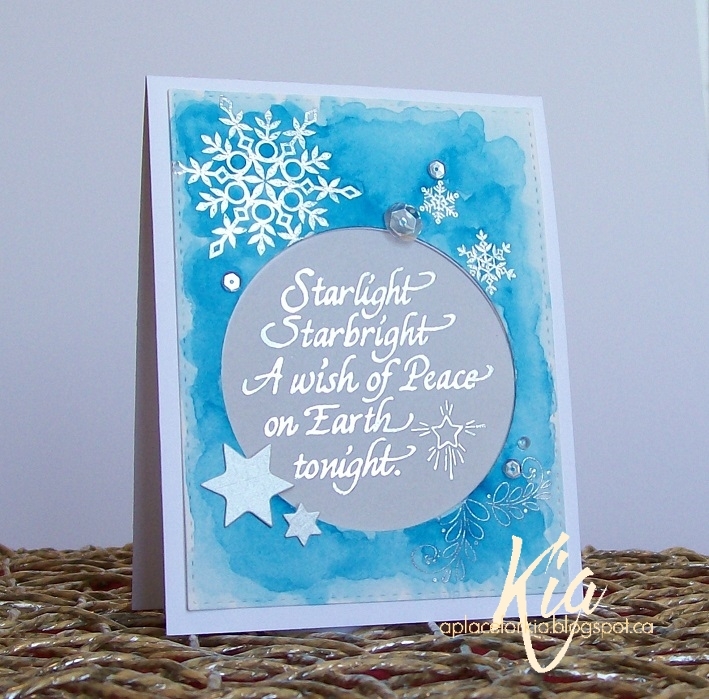 And here is a close-up of the star card. Products: Frantic Stamper Small Stitched Stars, Nested Stitched Stars, Frantic Stamper Finial Ornament Background, Frantic Stamper Jeweled Finial Ornament, Frantic Stamper Merry Christmas Script Sentiment, Red Metallic Cardstock, Neenah Cardstock, Gems, Stickles, Gold Cording, Battery Operated Tea Lights.. I am continuing to work on my Christmas cards, having finished my cards for Caring Hearts. This is a digital image but I don't know the source for some reason. I watercoloured using Tim Holtz Distress Inks and Zig Brushes then matted with the lavender cardstock, and stamped my sentiment with Intense Black Ink. I am very pleased with how it all turned out. Products: Unknown Digi, Simon Says Stamp Stitched Rectangles, Tim Holtz Peeled Paint, Crushed Olive, Shaded Lilac, Broken China; Zig Brushes Brown, Olive Green, Light Carmine, Carmine Red, Scarlet Red, Wine Red, SSS Intense Black. 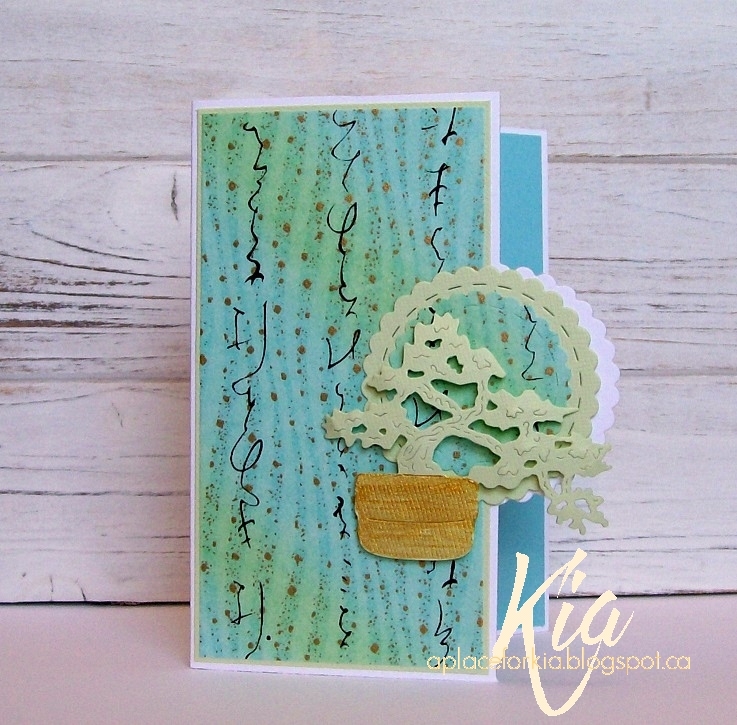 This is only a sampling of the dies from the latest release by Frantic Stamper called Visions of the East. They are all beautiful. For the above card I used the Fancy Peacock die. 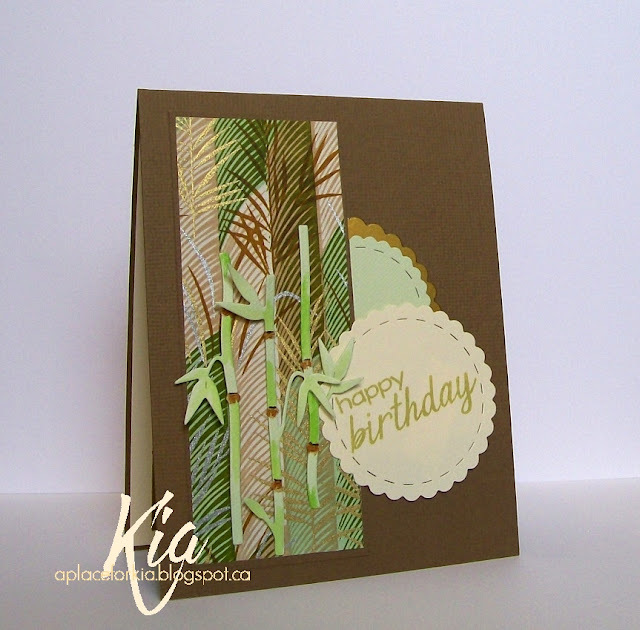 I die cut using watercolour paper and coloured using my Zig Brushes. 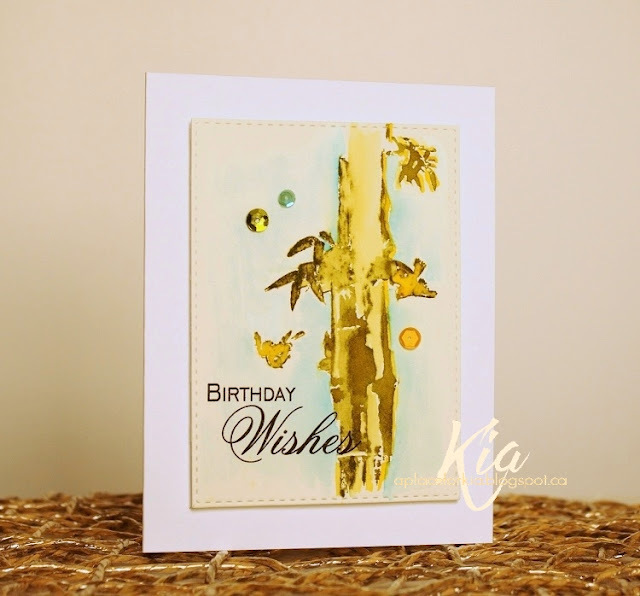 For the background I stenciled using satin embossing paste and added a vellum border stamped in gold embossing powder using the Celebrations stamp set. I added a few gems amongst the feathers and card to finish. 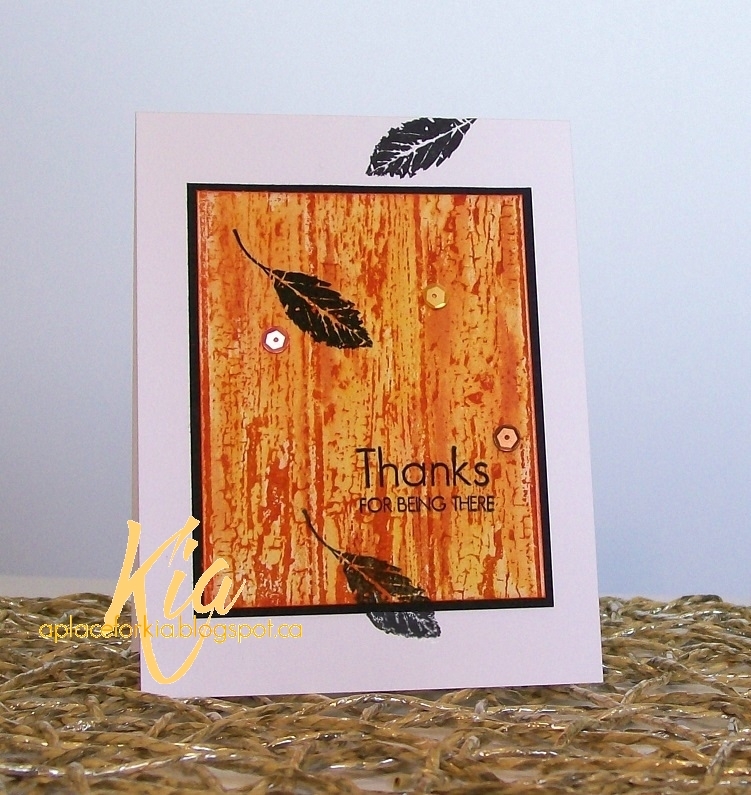 This is the wonderful Koi and background die. 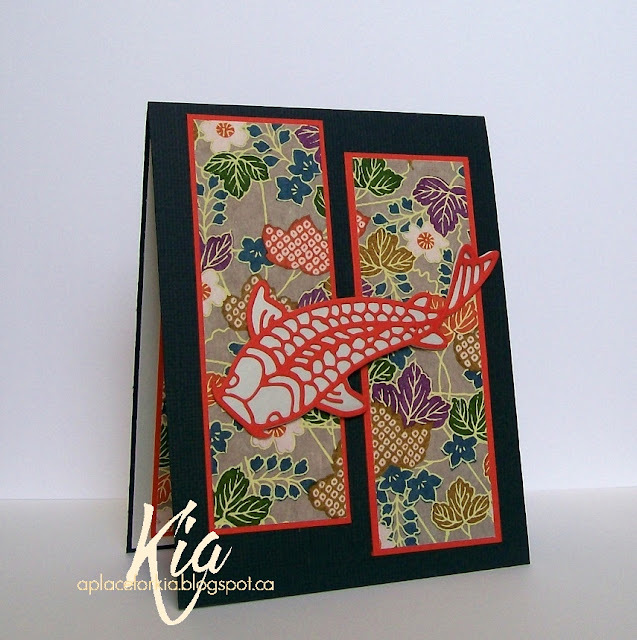 As you know I love the CAS look, and I think the paper is beautiful with the Koi as the star. 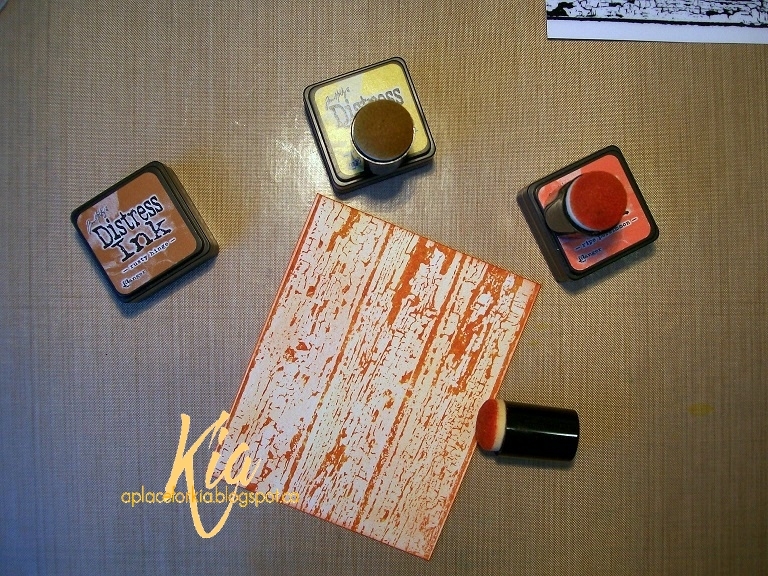 I did cut the background in a soft gray and the Koi in orange cardstock to keep that CAS feel. A funny story with this card to share. 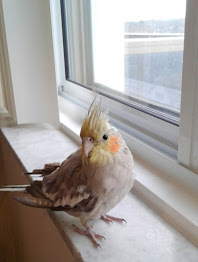 While making it my Cockatiel was sitting on the back of my chair. When I die cut the orange Koi and put it on the table, he jumped off and went after it. We had to have a conversation ... that fish is mine .... not his dinner! I used several dies on this card, and more of the beautiful Washi Paper, that can also be purchased at Frantic Stamper. From the Asian release I used the Bamboo Stalks which I coloured with Zigs Brushes. 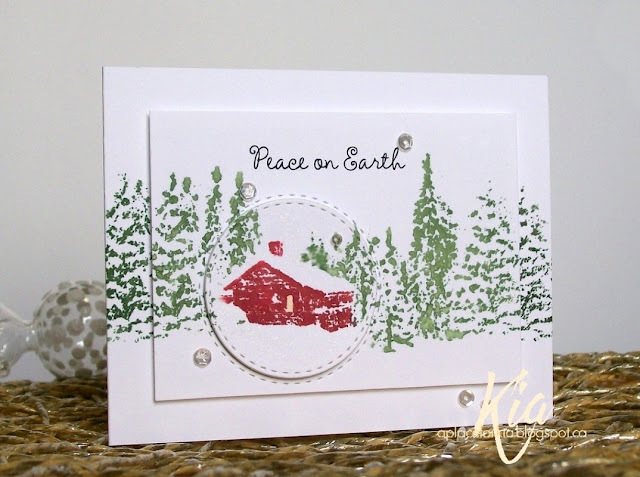 I die cut the Bump Card Scalloped Circles from the Barnyard Fun release and the sentiment is from the Celebrations Stamp Set. 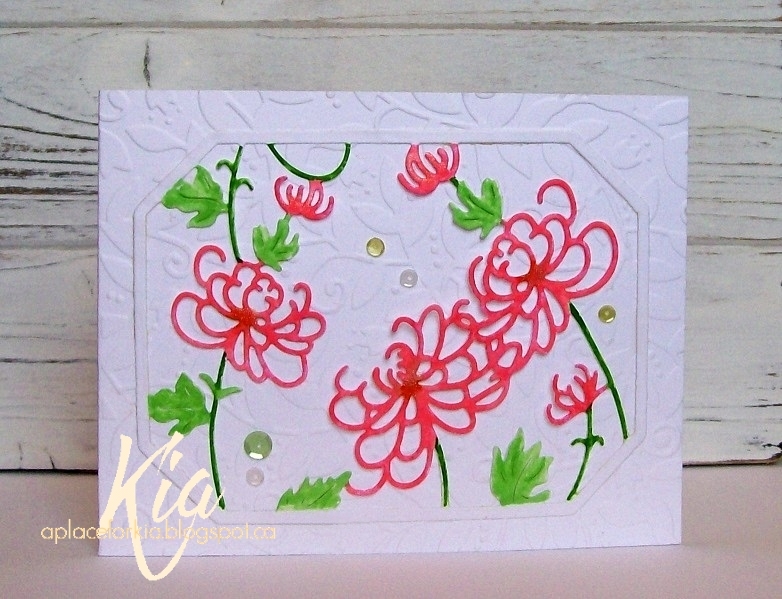 If you have watched the video release you will see a bunch of different uses for this beautiful die Chrysanthemum Panel. I cut my panel in Neenah 120lb cardstock to add dimensions with the flowers and coloured using Chameleon Markers. 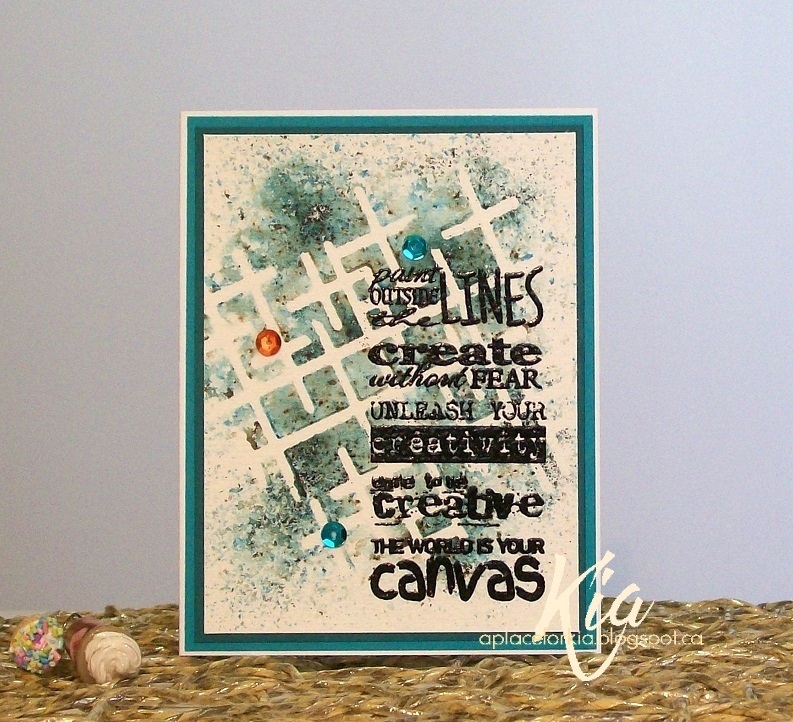 I also embossed my background for even more texture and added a few sequins to finish. This is such a pretty die. For this card I used the 3-step Chrysanthemum Stamp Set, using just one of the petals. 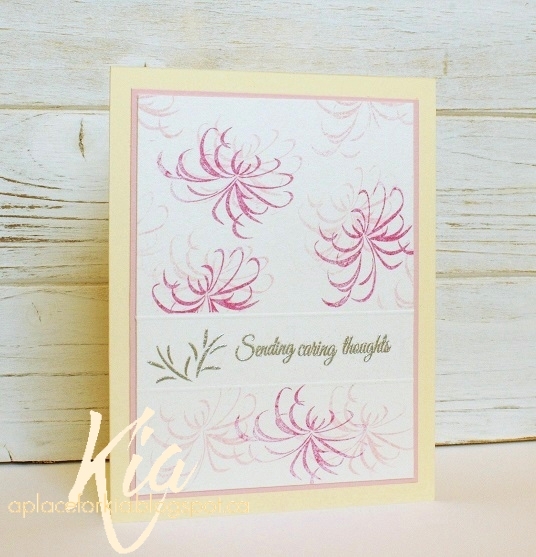 I taped off the sentiment portion of my light Ivory cardstock and stamped using Tim Holtz Distress Ink Worn Lipstick, then stamped off with the same colour for the lighter petals. I stamped the sentiment and flourishes in silver embossing powder and did some scoring on each side of the sentiment. I then matted with the pink and attached to a Ivory base. And finally for this card I used some of the beautiful Washi Papers along with the Bump Card Scalloped Circle die from the Barnyard Fun release. I die cut the Bonsai in a light green cardstock and painted the pot with gold ink and attaching with dimensionals. I love this die and these papers. 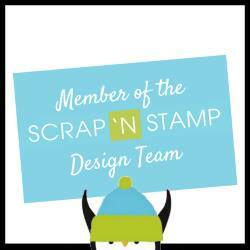 I hope you have enjoyed my sampling of this latest release and that you will visit Frantic Stamper to see more. Thanks for visiting ... have a great day! 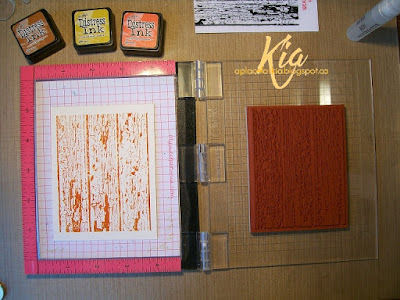 Products: All dies from Frantic Stamper, Washi Paper, Frantic Stamper Celebrations Stamp Set, Frantic Stamper 3-step Chrysanthemum Stamp Set, Neenah Cardstock, Bazzill Cardstock, Paper Garden Cardstock, Arches Watercolour Paper, Gold Metallic Paper, Dylusions Lattice Stencil, Satin Embossing Paste, Orange Gems, Heavy Vellum, Zig Brushes, Tim Holtz Distress Inks Worn Lipstick, Peeled Paint, Chameleon Markers, Taylored Expressions Leafy Vine Embossing Folder, Silver Embossing Powder, Fantastix Vegas Gold Ink, Sequins. 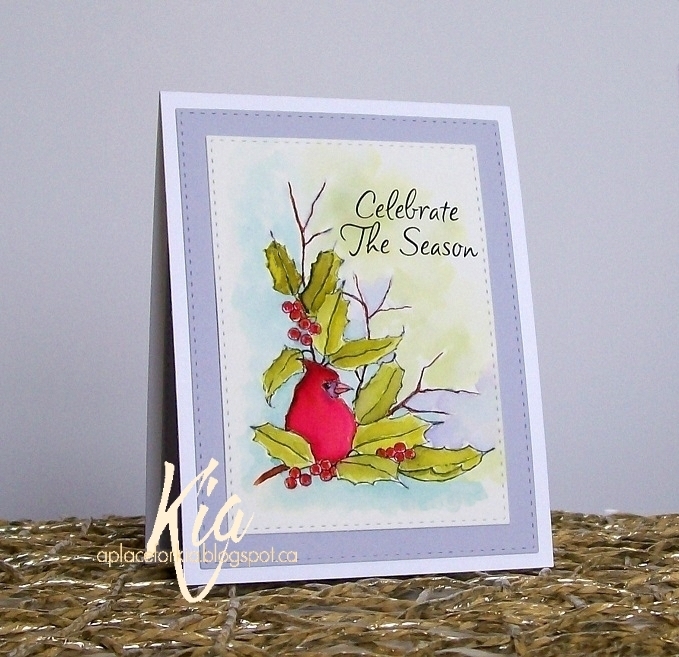 A December birthday card for a dear friend. I had such fun making this card. I tried to make it so it would fit in with the Christmas cards she will be getting from her friends and family. 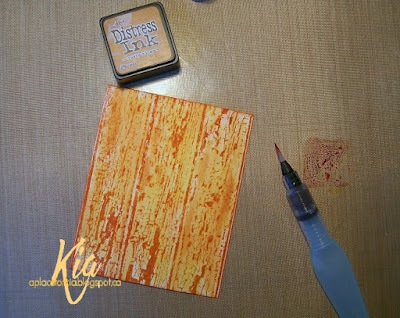 I heat embossed the background stamp using clear embossing powder, then watercoloured with my Zig Brush, adding more colour in certain spots, then die cut my piece using my stitched rectangle die. 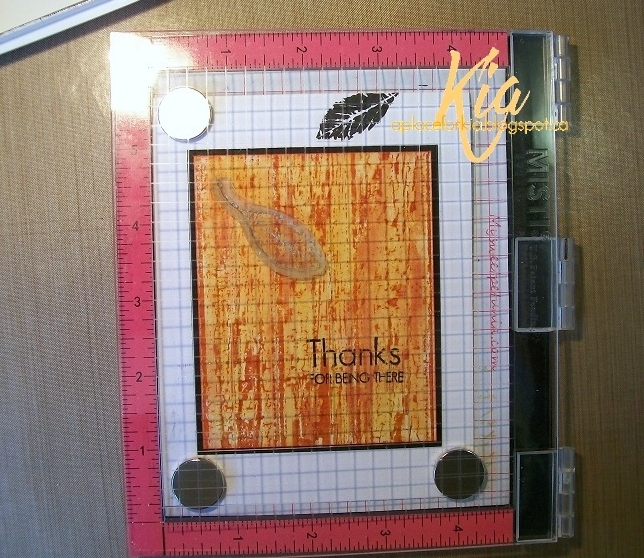 I die cut the stitched circle and cut the left side to fit my card nicer and then clear embossed my sentiment using Tim Holtz Ripe Persimmon and attached to the card with foam strips. I die cut the wishing sentiment and balloon in the gold glitter paper, and attached the sentiment with glossy accents and the balloon on dimensionals, and also added the gold cording. And, of course I would have to add some sequins for that extra bit of glam. Thank you for visiting today. Products: Dies are Simon Says Stamp Stitched Rectangles, Stitched Circles. Wishing and Balloon Craft Dies, Simon Says Stamp Sending and Wishing Stamp Set; Impression Obsession Swirls and Stars Background Stamp; Neenah Cardstock, Fabriano Hot Press Watercolour Paper, Gold Glitter Paper, Tim Holtz Ripe Persimmon, Zig Brush Scarlet Red, Clear Embossing Powder, Embossing Ink, Sequins. 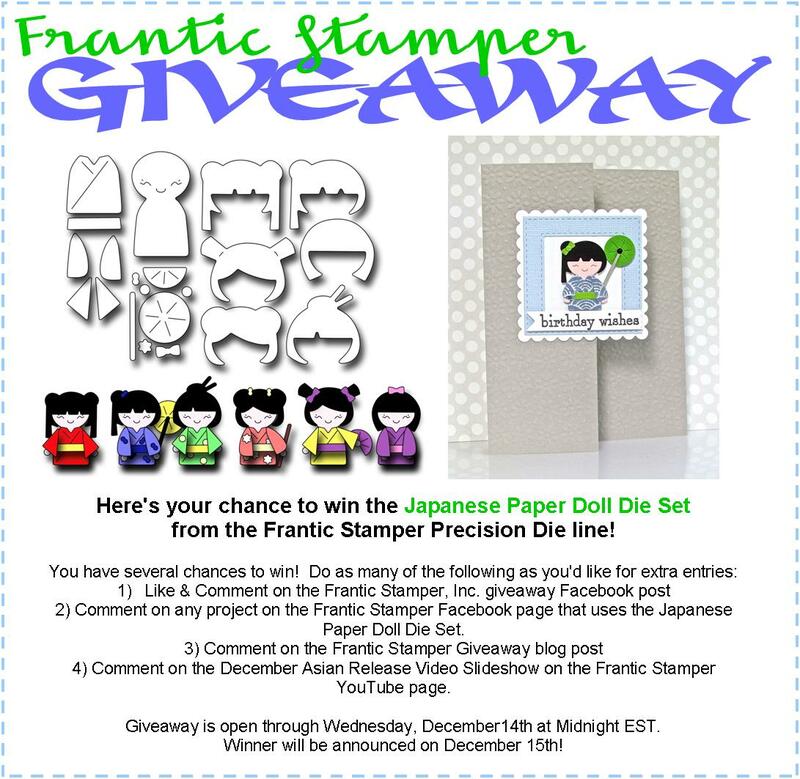 Here is a chance for you to win this precious die set.